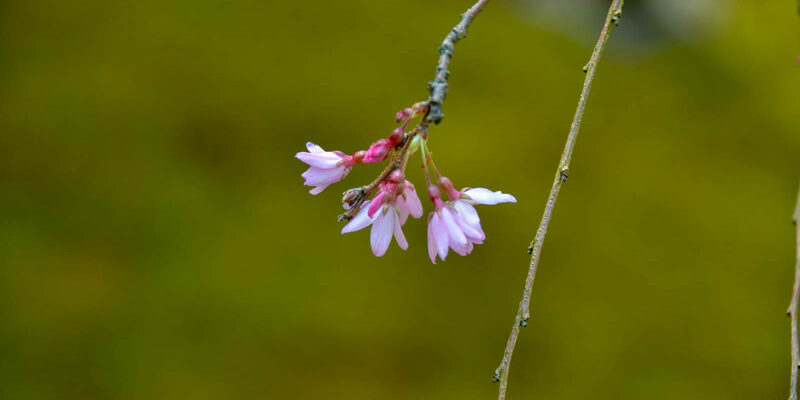 We are getting many questions about the state of the Garden’s cherry blossoms. 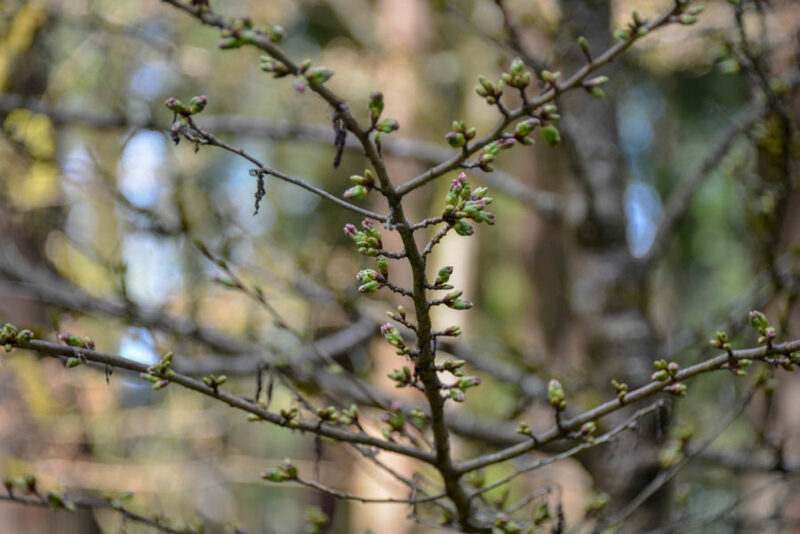 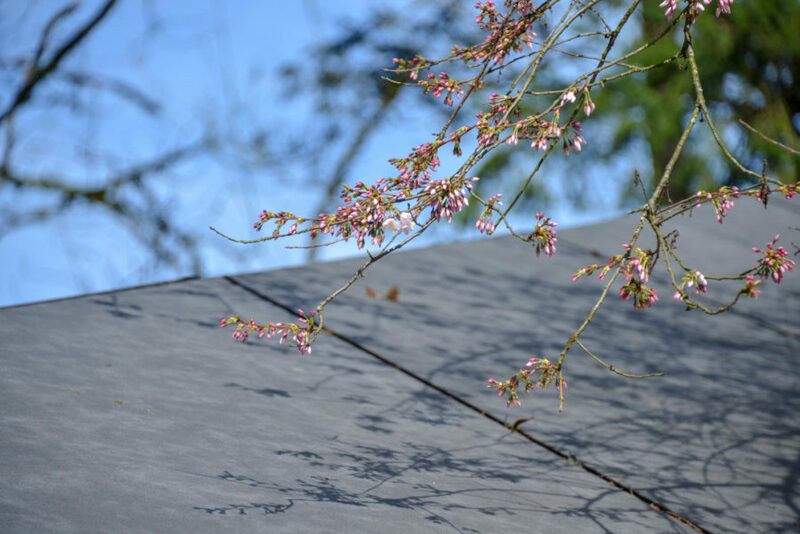 The rains and recent sun are urging the blooms along, and as you can see in these photos, the blooms are beginning. 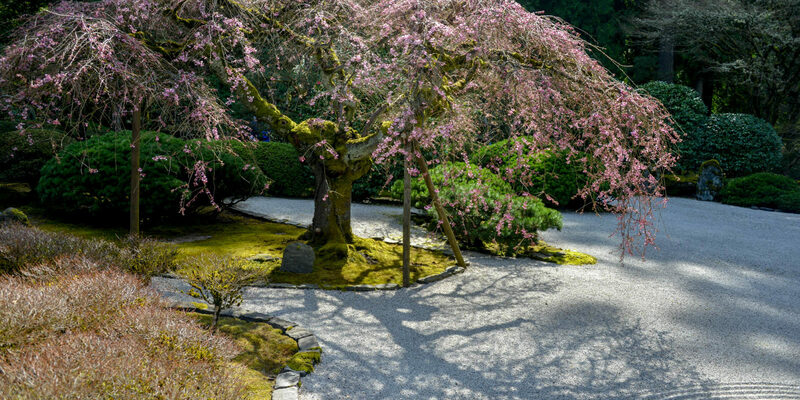 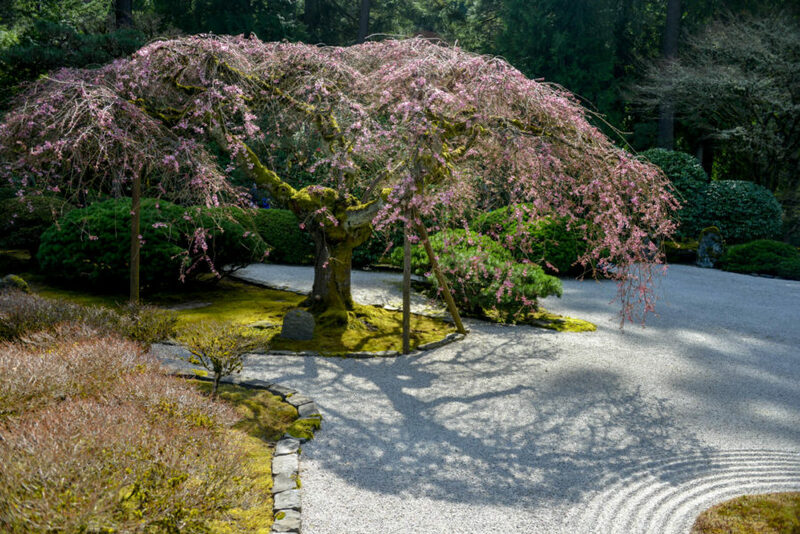 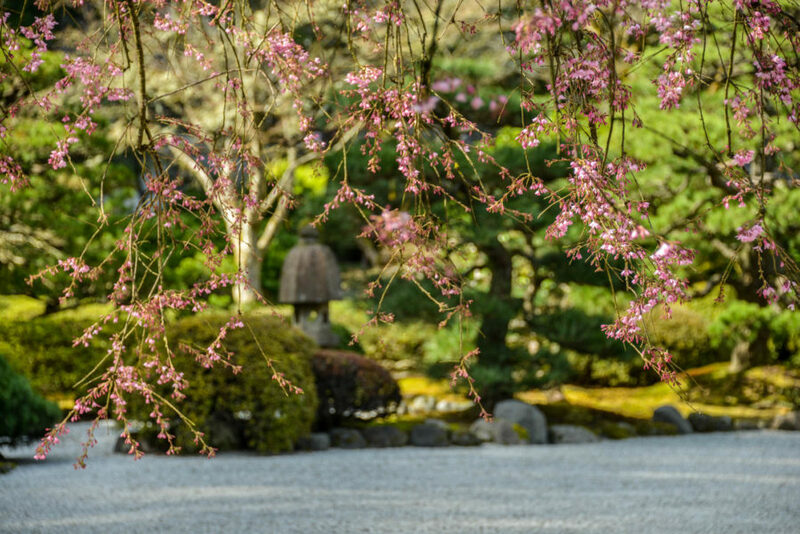 The Flat Garden’s Weeping Cherry is showing bloom and lovely pink and should be blooming over this weekend. 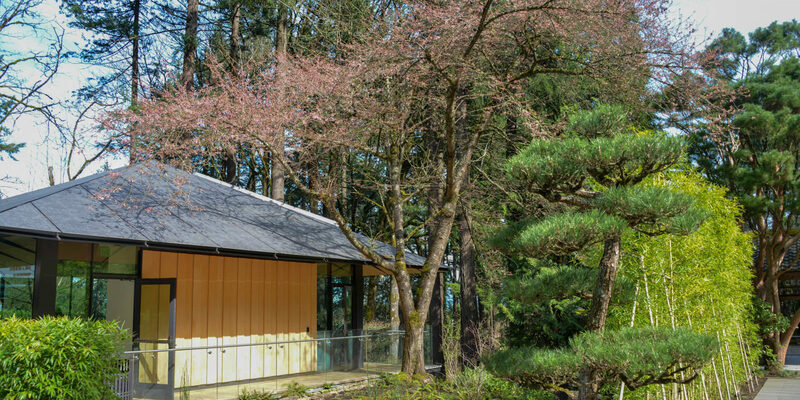 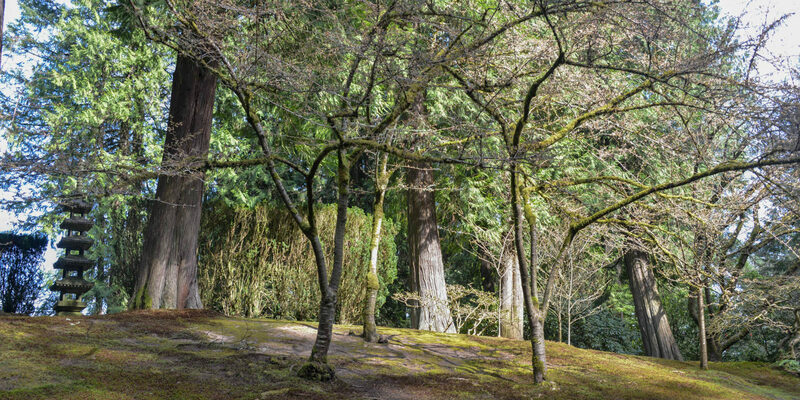 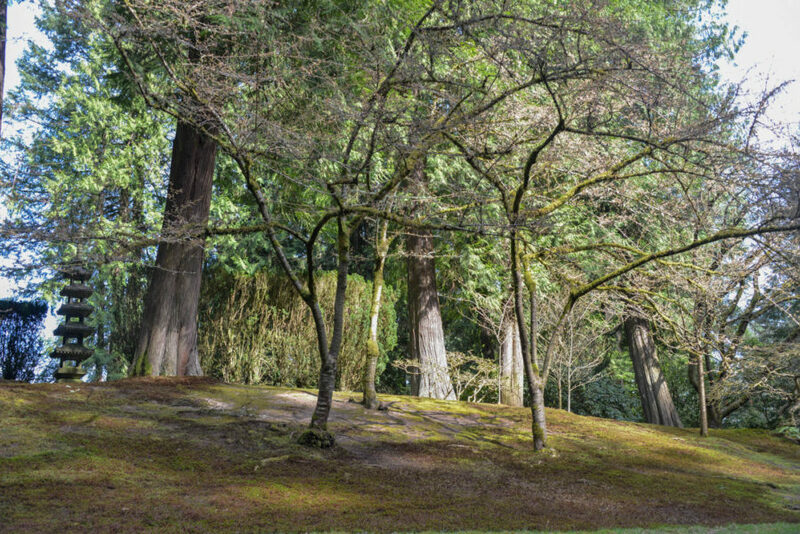 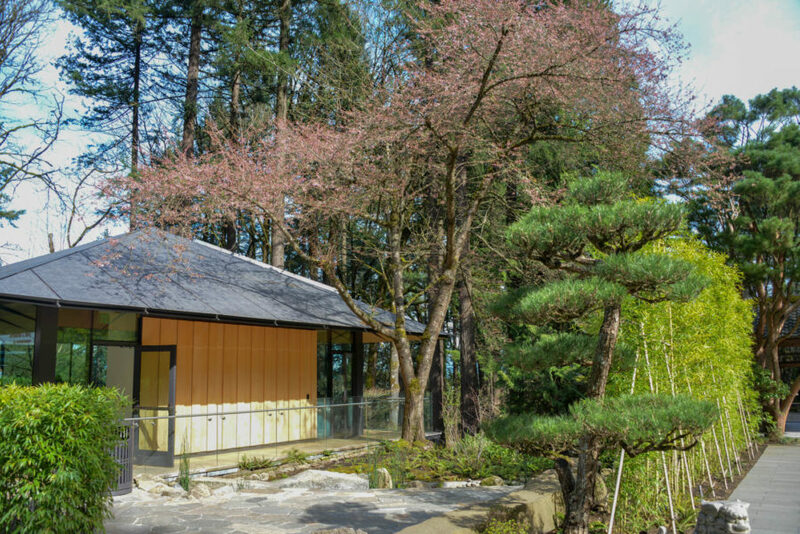 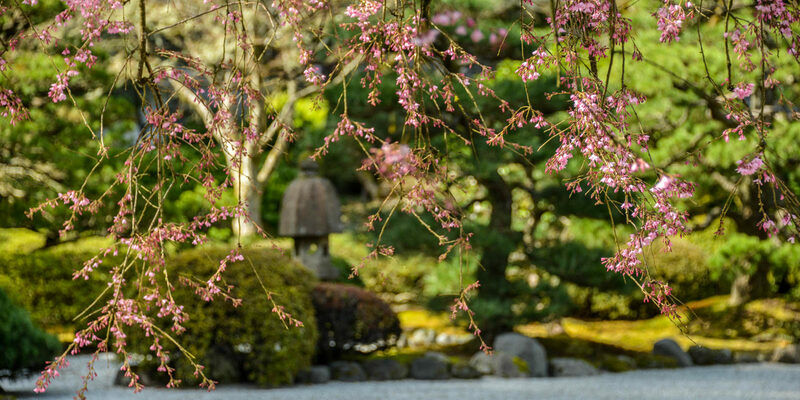 The Yoshino Cherry trees above the Umami Café and on Cherry Hill (in the Strolling Pond Garden across from Heavenly Falls) tend to bloom in the week or two after the Weeping Cherry. 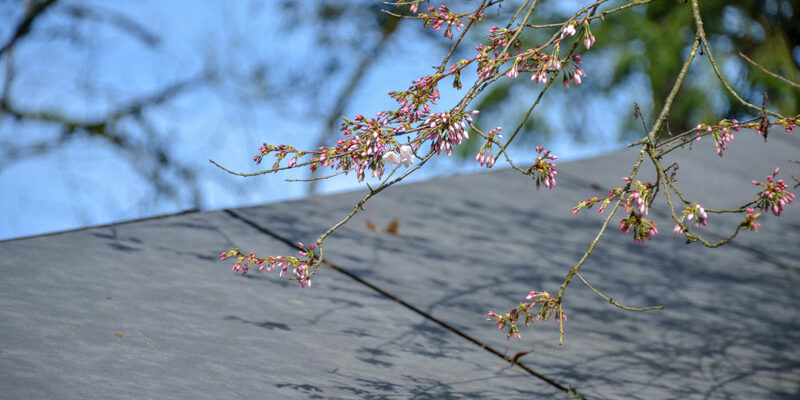 Those on Cherry Hill are showing full buds and a hint of pink, and the tree above the cafe is showing a little more pink. 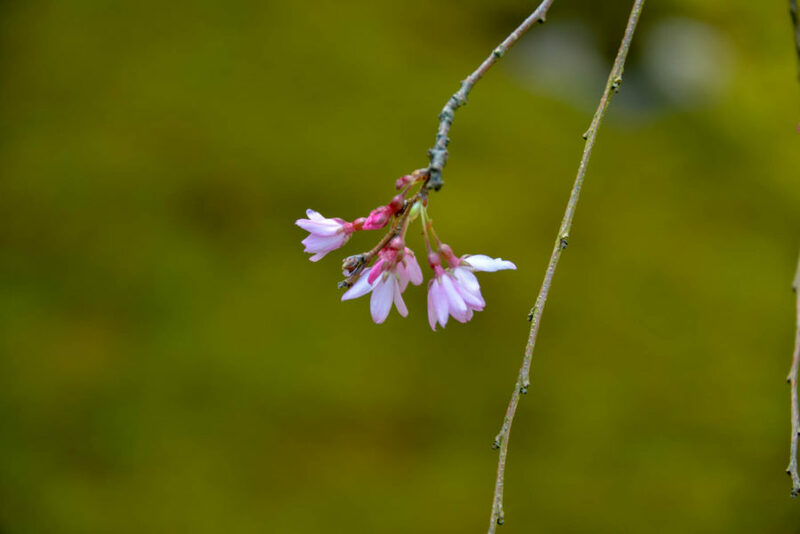 The exact timing of these beloved blossoms continues to depend on the weather, but you can follow the Garden on Facebook and Instagram for the most updated images of what’s in bloom. 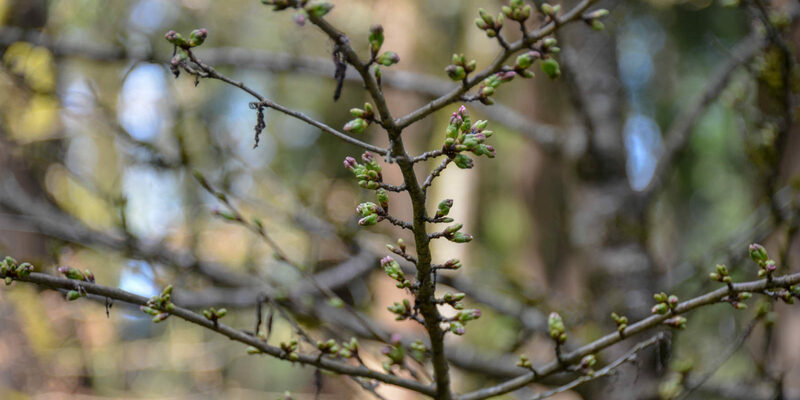 To learn more about the varieties of flowering plants you can expect to see blooming throughout the garden, check out Glimpse of Spring to read more about the flowers we anticipate.